Every year, thousands of children across the world wake up on Christmas morning to presents under the tree. Some of our most cherished memories happen during the holiday season and we are thankful to be fortunate enough to enjoy new toys, clothes, and other presents. 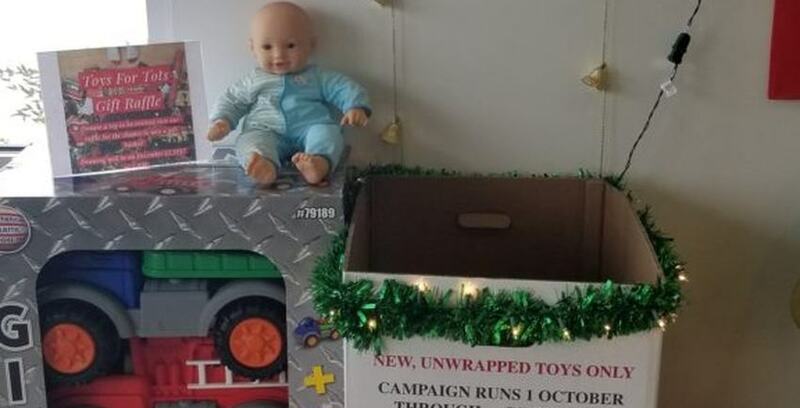 Lockaway Storage – Converse is accepting donations for Toys for Tots until December 13th. For many families in San Antonio though, presents under the tree aren’t financially feasible this year. Lockaway Storage thinks everyone deserves to celebrate on Christmas, so that’s why we’re partnering with the US Marine Corps Reserve Toys for Tots Foundation to collect presents for San Antonio’s neediest children. Lockaway Storage – Converse will accept donations from now until December 13th. Anyone who donates a toy will be entered into a raffle that will be held on December 12th and has a chance to win a gift basket full of prizes. This year’s Toy’s for Tots drive is particularly important to the Converse team. Facility Manager Patrick Galvan decided to start the donation drive after participating in similar charity campaigns in the past. Come on down to Lockaway Storage on 8401 Crestway Road between now and December 13th to help make a child’s Christmas special!